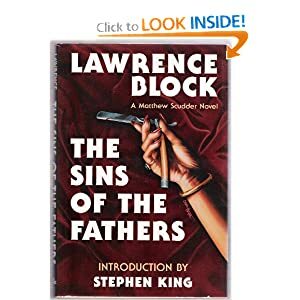 In my not-so-humble but quite accurate opinion, if you have a chance to read through a Lawrence Block novel, do it. This is the first Matthew Scudder novel, written in 1976. It features a sparse, almost journalistic style with little inner monologue. All dialog and action. I liked the story, but found myself yearning for a little peek into Scudder's psyche. Like A Confederacy of Dunces, this novel was written before political correctness took over and it's interesting to see the contrast with modern attitudes. In addition to his novels, Block wrote books on the craft and a column in Writer's Digest for many years (which was picked up by James Scott Bell). He's over 70, but on the cutting edge of the ebook revolution. Gotta love that. I picked this up when I first got the Kindle and dropped back to it when I was between books. It isn't a particularly well-written book and it is occasionally crude, but it has a lot of heart. 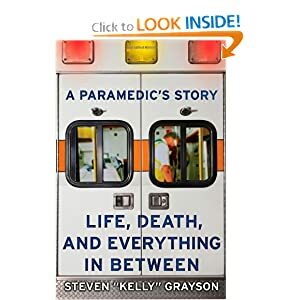 Funny anecdotes and heart-breaking stories that span the career of a paramedic in Louisiana. It's a good book to dip into occasionally. I don't think I would have liked it as much if I went straight through it in a few sittings. 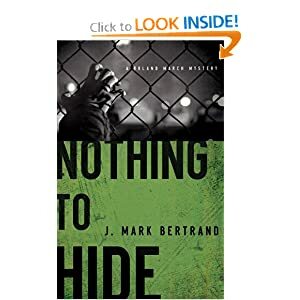 Third in the series after Back on Murder and Pattern of Wounds, Nothing to Hide stands out as Bertrand's best work, yet. Aging and beleaguered, Detective Roland March might actually be out on his ear this time. An occasional bounce into March's 1986 career as an MP allows the reader to converge on the identities of two key players in the current story crime. Reading the previous two reviews will quickly let you know that I consider Bertrand's Roland March series a must-read. I had only minor, insignificant quibbles with the first and no reservations about the second. I don't speak lightly when I say that if you like Connellys' Harry Bosch series, there's a very good chance you'll like Bertrand. I read a lot of whodunits and I can't think of another I would say that, with the possible exception of Riordan's Tres Navarre series. Like Connelly, Bertrand holds nothing back. You can make no assumptions and no one is safe. You get the feeling he'll kill of March if it serves his purpose, or render him irrelevant. A writer like Bertrand can pick up with another protagonist and off we go again. Not that I'm suggesting I've had enough of March. Quite to the contrary. I haven't asked Bertrand if he has any other March novels under contract because I'm afraid of hearing the wrong answer. But if there's any fairness in this world, and that's a highly dubious speculation, then we're in for many more years of Roland March goodness. In the meantime, catch up. You don't want to be behind when the next one comes out. I discovered Hallinan on DorothyL.com, an email list for fans of detective fiction. This book is the first in the Simeon Grist series and a good start. It's a first-person novel and I like the voice of the protagonist, not quite hard boiled, but plenty tough while being somewhat cerebral. It's a good story with plenty of action and plenty of depth and I enjoyed the ride. His fingers groped toward each other and met again over his stomach like five overweith pairs of illicit lovers on safe ground at last. They were obviously ready to protect that wet red carpet with their lives, if the need arose. The one on the right had the kind of face that suggested that he hoped the need would arise, and sooner rather than later: fat, downturned lips, a short thick pug nose, and two stupid little eyes lurking close together under a bony brow-ridge that I thought had been eliminated from the gene pool several million years ago. The other one just looked dumb. I have only one quibble, a topic I brought up in a previous review, the SNR (story-to-noise ratio). In several places the action comes to a stop for lengthy discussions of topics that are relevant to the mystery at hand but that do not support the forward momentum of the narrative, conversations between characters about religion or philosophy or other things. 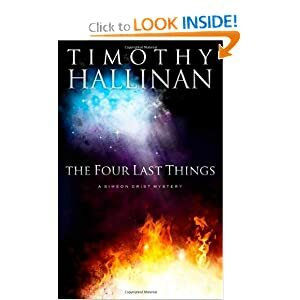 Hallinan is an excellent writer and put together a fine series opener, but in my not-so-humble-but-always-accurate opinion it would have been better served by whittling these tangents and streamlining the story. That being said, it's still worth reading, and I'll be continuing in the series. Give it a shot. It's 20 minutes of astoundingly good, and amusing, advice for those who create. Make good art. But a recent email has the most unusual story associated with reading my books that I've received to date. I appreciate your rich vocabulary, which you use so extravagantly. I suspect a lot of folks don't know what treasures you draw from. I was getting such a kick out of your story this afternoon that I forgot I had put five eggs on to boil, and didn't remember them till they started exploding. After the third shot-egg blast I got up and found egg parts all over the kitchen, and a horrible stink besides. But -- so -- on with the book. Thanks so much for writing the way you do. If I wasn't already driven to write incessantly, emails like this one would do the trick.